Researchers at Duke University (NC, USA) have successfully vaccinated a mouse against cancer in a proof of concept experiment involving a small number of mice. 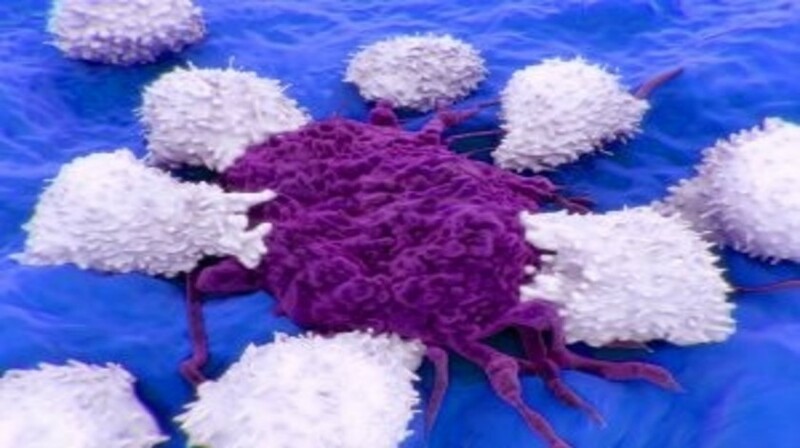 Combining FDA-approved cancer immunotherapy with an emerging tumor roasting therapy produced and enhanced effectiveness in both. The results, published in Scientific Reports, have proven encouraging. The novel ‘photothermal immunotherapy’ technology utilizes lasers and gold nanostars in combination with immunotherapeutic drugs. Multiple spikes on the gold nanostars allow them to capture the laser’s energy more efficiently, like lightning rods, to concentrate electromagnetic energy at their tips. The researchers injected the hind legs of mice with bladder cancer and tested a number of treatments on one of the afflicted legs. The mice that did not receive treatment quickly died of cancer. The mice treated only with the gold nanostar technology also succumbed to cancer due to their remaining untreated limb. Some mice responded well to the immunotherapy but despite the drug stalling the tumor growth all mice died within 49 days. However, the mice treated with the combination photothermal immunotherapy responded far more favorably, resulting in two of the mice being completely cured. There are several pharmaceuticals in development with the aim of blocking the effect of PD-L1, allowing the immune system to destroy cancer cells. The combination of gold star nanotechnology and immunotherapy also attacked satellite tumors and distant cancer cells. The researchers injected more cancer cells into the mice a month later and observed how the immune system was capable of attacking and destroying the new cancer without difficulty: an indication that they had been vaccinated. A year later, one of the mice is still alive and has shown no recurrence of the cancer. The research team now has plans to follow up with tests involving larger numbers of mice, working with other clinical researchers to investigate the treatment on models of mouse brain, breast and lung cancer.